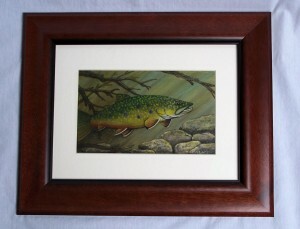 Matted and framed original acrylic painting of Brook trout on masonite. Painting is 8.5″ x 5.5″. Frame is cherry wood and outside dimensions are 16″ x 12″. Click here to return to our Framed Art page. 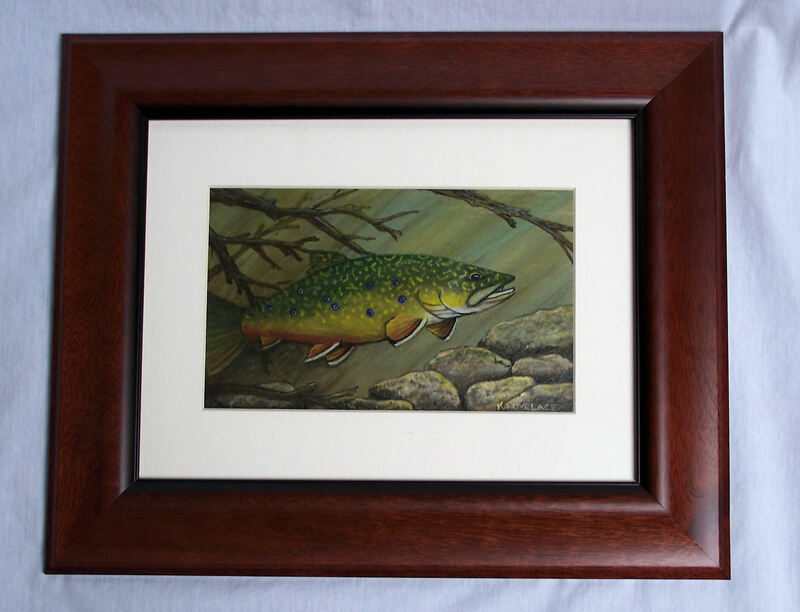 Framed Brook Trout Painting "October Glory"
This entry was posted in Framed Paintings. Bookmark the permalink.